The Metallic Edge "The Apparatus"
The Apparatus is in, "The Metallic Edge"line. It has an easy to read digital and analog time, temperature and day of month. 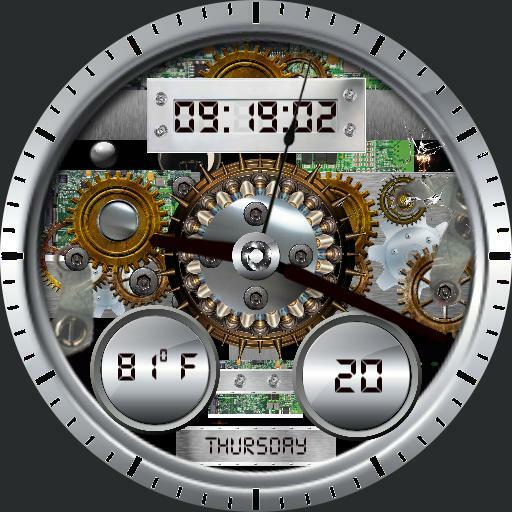 The spinning gears and flashing lights is some nice eye candy for the watch face.